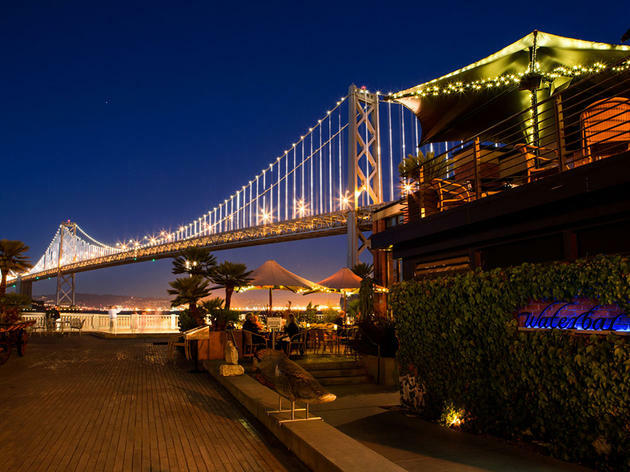 Sister to Epic Roasthouse, Waterbar takes full advantage of its Embarcadero waterfront location with panoramic views of the Bay from both inside and the outdoor patio. 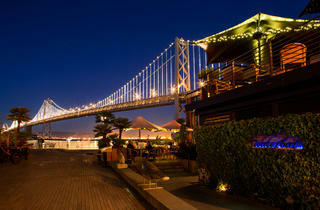 A pair of 19-foot-high circular aquariums anchors the main floor, filled with all-manner of fish and marine creatures. A glass caviar-inspired chandelier and a horseshoe-shaped raw bar offers dramatic seating for the sustainably harvested seafood menu, which includes a full oyster menu and seasonal selections such as wood-oven roasted Alaskan halibut with fresh pole beans and mussels en papillote.